For those in the world still wondering when Skynet, of Terminator fame, will take over the human race, take a step back and breathe. Artificial intelligence (AI), and the smart algorithms that run in the background, are already infiltrating the market en masse, but a future in which such technology will dominate daily life, is a little way off. Because while robots may have already arrived, with smart technologies in fast pursuit, the future outlined in Hollywood movies is not quite aligned to reality. Remember, not long ago, the global population sent faxes, called landlines and wrote letters to friends and family - alien concepts to the millennial generation. “At the core, digital transformation is centred around how we apply technology to solve problems, or improve processes, or to innovate,” observed Elliott Murray, head of technology at DiUS. 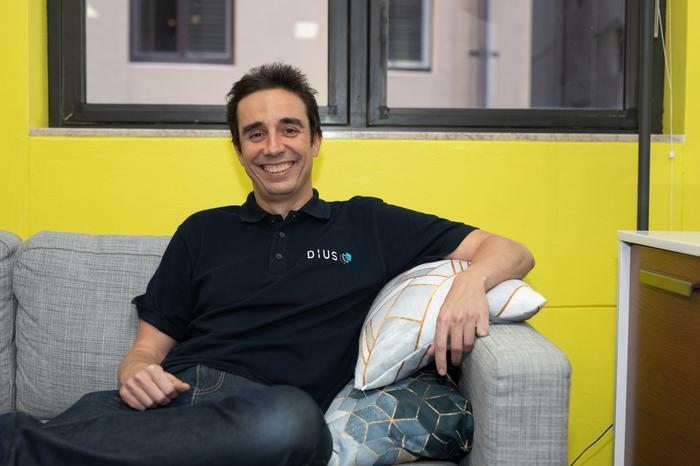 Headquartered in Melbourne, DiUS is a solutions provider with specialist expertise across the Amazon Web Services (AWS) platform, providing advanced consulting to customers such as Bauer Media Group, Jetstar and Vodafone, alongside Nib, Medibank and MYOB, among others. For Murray, such transformation started many years ago, and continues to accelerate as the market evolves, as technology invades daily life through smartphones and digital devices, as well as in business through public cloud. Coupled with the rise of deployments specific to the Internet of Things (IoT) and AI, new solutions are emerging to transform the way Australia does business. “We are already able to carry out great speech recognition, image recognition and self-driving cars and that is going to carry on," Murray explained. But it’s not only a case of new technologies, rather how to keep pace with rapid levels of innovation, as businesses attempt to take advantage to avoid falling off the track. In assessing a competitive industry, Murray cited the work of organisations from the S&P500, which lists the 500 largest companies with common stocks listed on the NYSE or NASDAQ based on market capitalisations. These organisations were able to remain in the list for around 30 years during the 1960s, whereas today, an enterprise might only last for 10 years. Perhaps it’s a little presumptive to discuss the benefits of digital transformation, without first defining the technology. A clear explanation remains lacking however, as customers, partners and vendors project varied thoughts and ideas onto a blank canvas spanning the entire technology market. In short, defining digital transformation really depends on the business, the use case and the technology. During his address at CeBIT in Sydney, finance minister Victor Dominello tackled the subject head-on, debating what such a shift in thinking means for the market and crucially, “why are we doing it?”. “Is digital transformation about digitising paper processes to enhance efficiency?” he asked. “Is it about automating repetitive tasks to reduce efforts and errors? “Is it about employing AI to improve decision making or is it implementing gadgets and devices to give us greater control over our environment? Dominello believes that digital transformation can be leveraged to help plan a better city, reduce homelessness, improve health care, protect the environment, advance education, decrease the tax burden and more. For Dominello, digital transformation is about achieving real world outcomes. In response, Murray acknowledged that the notion of digital goes beyond an organisation, moving into the daily lives of the public. Murray recalled a time as a child when mobile phones didn’t exist, during an era when fixed lines where still a mainstay in the house. Fast forward to today and Wi-Fi spots are everywhere in the city, allowing people to access the internet free of charge. “Will we even need a SIM card in five-years' time?" Murray asked. Considering changing market dynamics, DiUS is diving deeper into the smarter side of digital transformation, chiefly AI and machine learning. 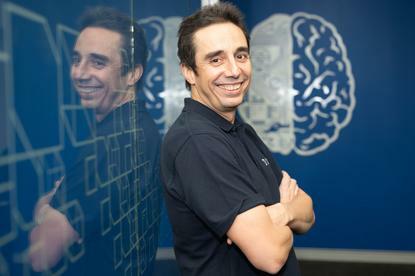 “You start to see organisations like Google already say, 'we're no longer a mobile-first organisation we're an AI-first organisation' so we're very much focused on AI,” Murray added. This is where DiUS is playing today, and according to Murray, will still be playing by 2023. 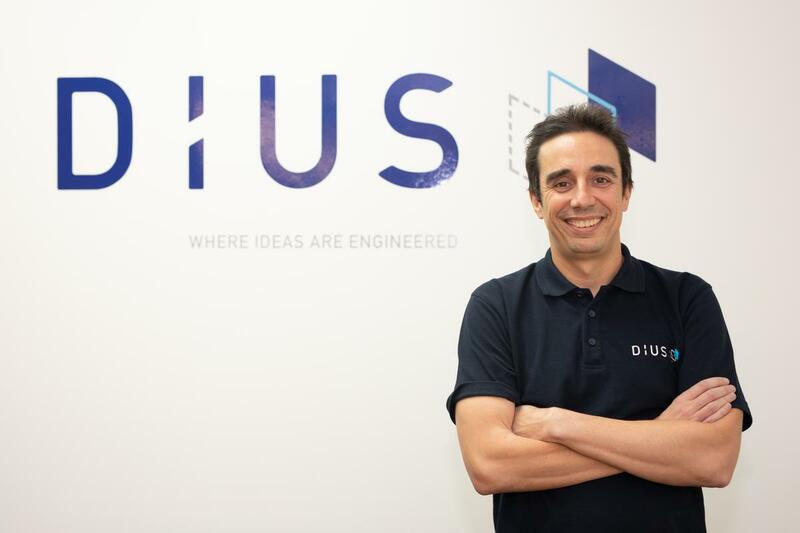 During the next five years, DiUS will continue to offer similar services but will do so alongside a portfolio of AI-enabled solutions, built to create more augmented and engaging experiences. “Now we’re doing more and more IoT work where there's less players in that space and quite a few small bespoke data science shops,” Murray added. “Our unique play is that we do the whole end-to-end offering with customer user experience, plus we do some dev ops as well as an agile approach to product management." In taking a global view of the market, worldwide spending on digital transformation technologies - spanning hardware, software, and services - is expected to reach almost US$1.3 trillion in 2018, representing an increase of 16.8 per cent from 2017. According to IDC research, the majority of spending this year (US$662 billion) will go toward technologies that support new or expanded operating models as organisations seek to make operations more effective and responsive by leveraging digitally-connected products/services, assets, people, and trading partners. The second largest investment area (US$326 billion) will be technologies supporting omni-experience innovations that transform how customers, partners, employees, and things communicate with each other and the products and services created to meet unique and individualised demand. Delving deeper, information will also be an important investment area (US$240 billion) as organisations strive to obtain and leverage information for competitive advantage through better decisions, optimised operations, and new products and services. For Murray however, the trigger point for increased spend is simple. As explained by Murray, the advantage streaming giant Netflix had over Blockbuster, apart from being a big power player, was that it did not have large quantities of stores, taking advantage of being an online-only platform. Closer to home, insurance provider Nib is an example of a business that doesn’t require bricks and mortar stores, yet chooses to provide a select few to cater for the needs of a varied customer base. As a customer of DiUS, Nib offers digital services for most, if not all, its services, but recognised the importance of keeping a few shop fronts to allow customers who prefer the human touch to transact as normal. DiUS worked with Nib to create Nibby, the company's chatbot. According to Murray, this was the first time an Australian health insurer introduced AI services to assist customers with health insurance enquiries. “We wanted to test the hypothesis that using a chatbot could improve the customer experience and free up our live agent’s time, and we wanted to test the concept quickly - both from a technical and user perspective,” Nib CIO, Brendan Mills, said. Given the advancements of AI and ML locally, Australia is witnessing professions that have avoided technology innovation for a long time, becoming disrupted almost overnight. This might be the case with lawyers, because finding the right first-contact advice might now be achievable through the help of a chatbot. For Murray, the industry is reaching a point in which AI can ask enough questions of people to be capable of providing the correct advice in return. In addition, Murray also quoted Stanford professor Andrew NG, co-founder of Coursera - a venture-backed, education-focused technology company - who said, "pretty much anything that a normal person can do in less than one second, we can now automate with AI". In Australia, Murray has noticed a movement from fintechs in recent years towards digital adoption. Specific to customers, Murray said DiUS had two choices in the market. First, remain with customers for the long-term and ensure financial stability. Or second, train the staff of customers and instead focus on new projects and explore emerging technologies as they remain relevant. The business picked the latter. Murray said that small organisations might come to DiUS in order to get a start-up idea to market - the way DiUS works is that they will go into this company and start the project and then move on to train the staff. “Eventually we'll start rolling their people through so they can start taking over it and eventually we will roll off," Murray added. “At the end of day, we got the thing up and running in a good healthy way, trained their people and eventually they get to have their own function. “That way we can move on to the next thing so we are not caught on looking after something for five or ten years, which is tempting because there are financial benefits.